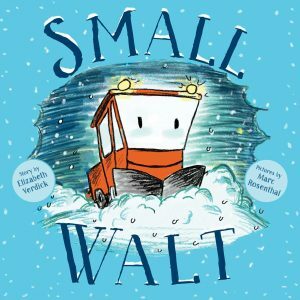 Seven delightful picture books about winter wonderlands. As autumn gets in full swing, the nip in the air is a reminder that winter is just around the corner. 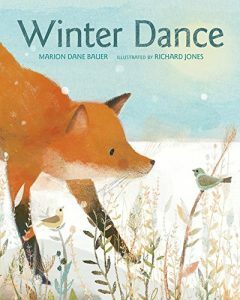 From frolicsome foxes to elegant ice skaters, the characters in these snow-filled books will have young readers dreaming of snowball fights and winter nights. Bauer, Marion Dane. Winter Dance. illus. by Richard Jones. 40p. HMH. Oct. 2017. Tr $16.99. ISBN 9780544313347. Claire, Céline. 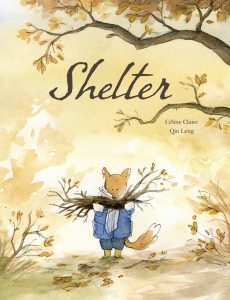 Shelter. tr. from French. illus. 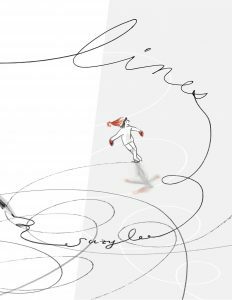 by Qin Leng. 42p. Kids Can. Oct. 2017. Tr $17.99. ISBN 9781771389273. Jackson, Richard. Snow Scene. illus. by Laura Vaccaro Seeger. 40p. Roaring Brook/Neal Porter Bks. Nov. 2017. Tr $17.99. ISBN 9781626726802. O’Hara, Natalia. 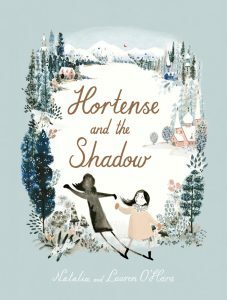 Hortense and the Shadow. illus. by Lauren O’Hara. 32p. Little, Brown. Nov. 2017. Tr $17.99. ISBN 9780316440790. Ross, Tony. I Want Snow! illus. by Tony Ross. 32p. Andersen. Oct. 2017. Tr $17.99. ISBN 9781512481259. 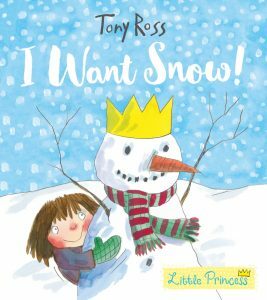 PreS-K –When Little Princess discovers that snow exists, she exclaims, “I WANT SNOW!” Unfortunately, because it is summer, she has to learn to be patient and imaginative. The large illustrations add humor to the story as her family and friends at the castle try to improvise winter conditions for her. But snow globes, rockmen, mud balls, and sand castles are no substitute for the winter wonderland that Little Princess sees on the postcard the Queen mailed to her from the South Pole. Children who are familiar with the “Little Princess” picture book series will not be surprised to learn that once she does get to play out in the snow, she quickly finds reasons to change her mind and complain about what she wanted for so long. VERDICT Children will have a laugh at the expense of Ross’s moody, prone-to-tantrums toddler princess. 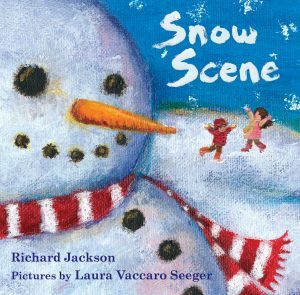 A suitable seasonal story selection perfect for storytime and one-on-one sharing.–Tanya Boudreau, Cold Lake Public Library, Alta. Verdick, Elizabeth. Small Walt. illus. by Marc Rosenthal. 40p. 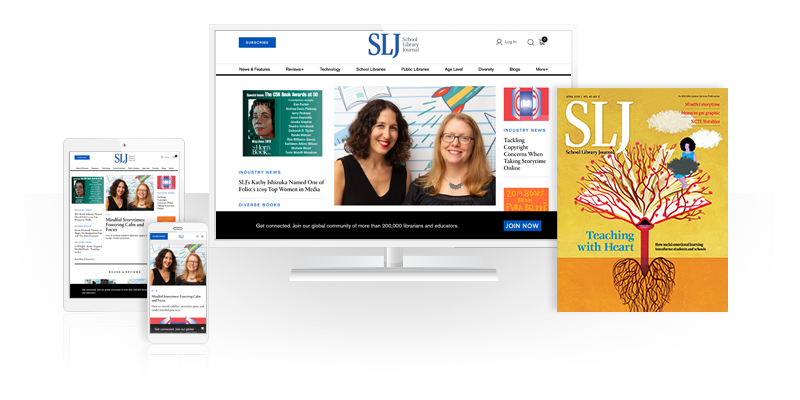 S. & S. Oct. 2017. Tr $17.99. ISBN 9781481448451.